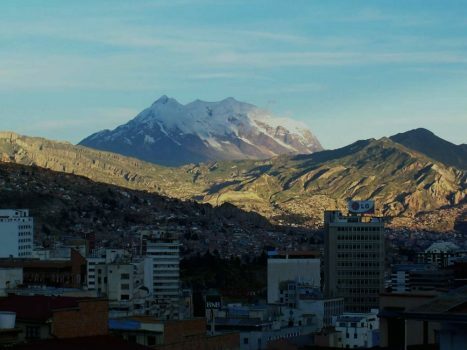 The highest administrative capital city in the world La Paz is set in the most impressive landscape. 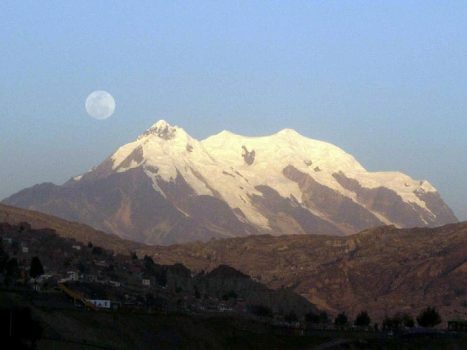 The city straddles the Altiplano at 3,900 metres (12,795 feet) and a deep valley 500 metres (1,640 feet) below. 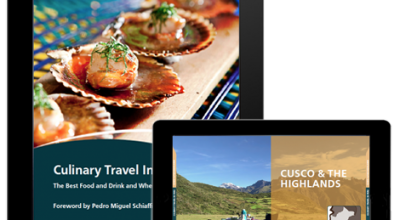 The city is the perfect place to witness the native Aymara and Quechua people going about their business wearing the traditional dress of multi-colored skirts and bowler hats in the frenzied bustle of a modern metropolis. Established in 1548, it has evolved into a city of nearly a million people. 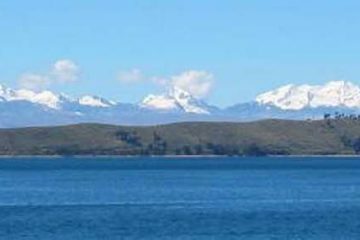 Overlooking the city is the majestic Illimani Mountain, its snow covered peaks sitting at over 4,500 metres (14,763 feet). The city is easy to get around these days thanks to its modern public transportation system of cable cars, which conveniently provide visitors with a great perspective on this growing city. 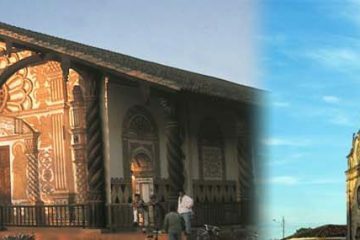 La Paz is the de facto national capital, with Sucre the constitutional capitla. 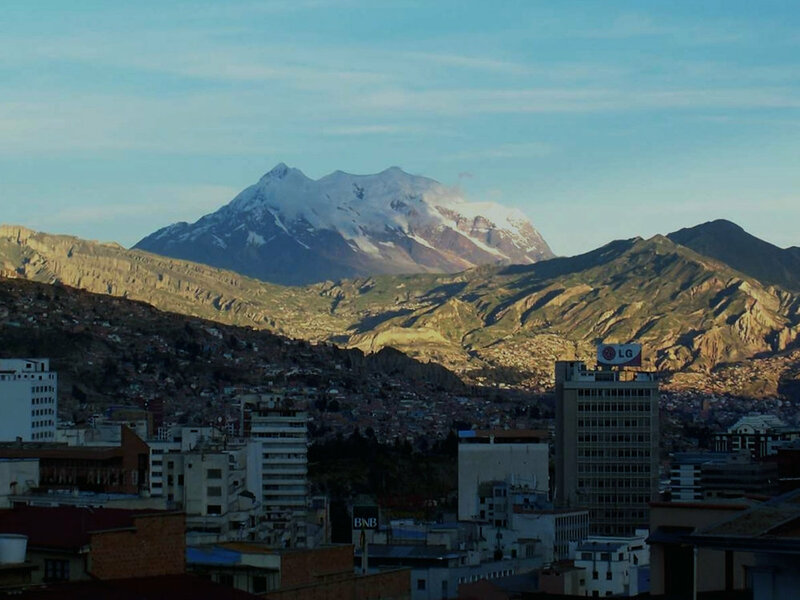 La Paz and Santa Cruz airports serve as the gateways to Bolivia and its top destinations. 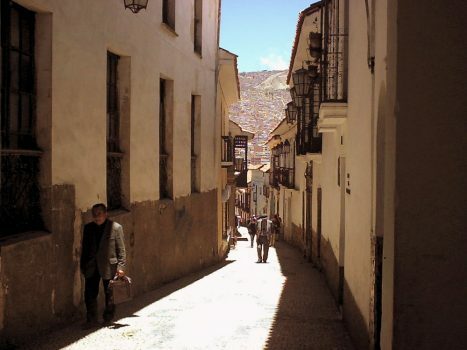 It is possible to see the key city sights of La Paz in a day. 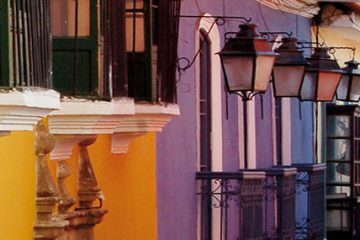 In the city center, highlights include the Presidential Palace, the National congress, and the Church of San Francisco, which are wonderful examples of colonial architecture. The infamous Witch Doctors’ Market is one of the more unique sights in the city, selling unusual items used for traditional Aymara rituals. Another attraction is unworldly Moon Valley–clay formations on the outskirts of the city resembling the face of the Moon. Further outside the city center towards Lake Titicaca, lies Tiwanaku, another must see on a visit to La Paz. 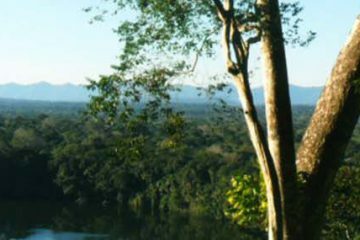 Once the site of a powerful Pre-Inca civilization, several magnificent archaeological sites remain including the Sun Gate, the Temple of Kalasasaya and the Pyramid of Akapana. 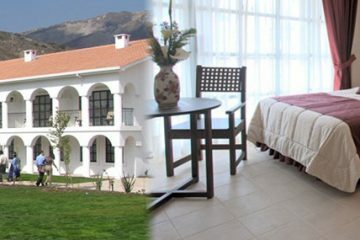 There are direct flights to La Paz from neighboring countries like Peru, which has direct flights from Lima and Cusco. 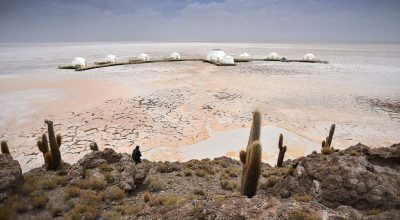 It is also possible to travel to La Paz overland by road from Peru, crossing the border at Lake Titicaca. 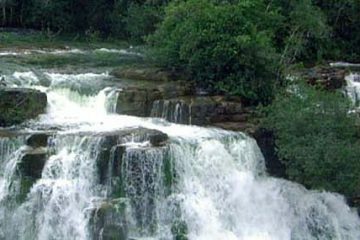 This is a very typical route when combining Peru and Bolivia together on private, tailormade trip. 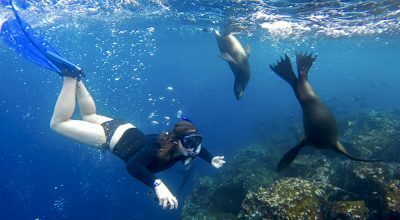 Internationally, La Paz and Santa Cruz serve as the main gateways. International access to or from La Paz from the US is via Miami or Washington D.C. La Paz international airport is located about 25 minutes from the center of the city in the suburb of El Alto. It is important to be aware it sits at an elevation of over 4,100 metres (13, 451 feet), so most visitors to Bolivia usually visit La Paz from neighboring Peru or Chile – allowing time to acclimatize at lower altitudes first – or will fly into Santa Cruz and visit other destinations in Bolivia at lower altitude first, to end in La Paz and fly out of the country. 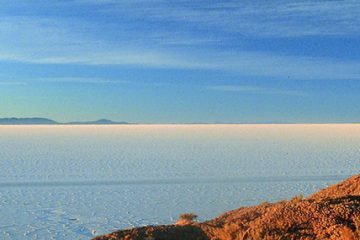 La Paz has regular direct flights to and from Uyuni, the spectacular salt flats in the south of the country. 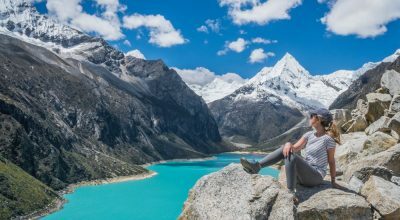 While still not considered a ‘conventional’ luxury destination simply due to relatively limited hotel infrastructure, there’s a buzz in La Paz with a flurry of new openings. 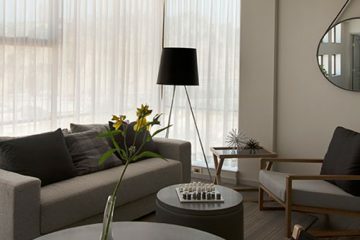 This includes the city’s first luxury hotel ATIX, exciting gastronomy from Gustu and Ali Pacha, and art galleries, boutiques and more to entregue the most discerning travelers. 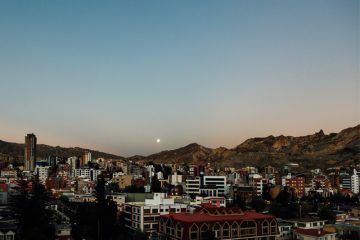 Journalist Chris Moss traveled to La Paz with Aracari – read his guide to what he calls South America’s New Capital of Cool. During the drier seasons, from May to October is ideal. 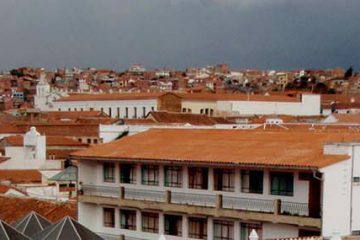 La Paz is divided up into different districts, with hotels largely split between the historic downtown city center and the Zona Sur residential area. 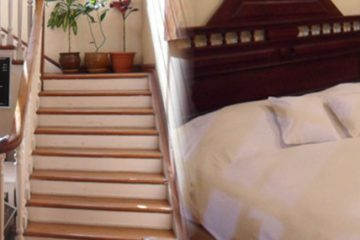 The most luxurious hotels are in Zona Sur – the advantage here is that the properties are all at lower altitude than in the downtown. 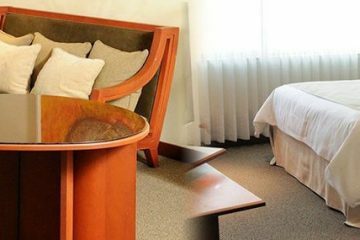 The best luxury hotel in La Paz is ATIX, which sits directly opposite Casa Grande, in the Zona Sur area. There are also a handful of small, affordable boutiques around town. 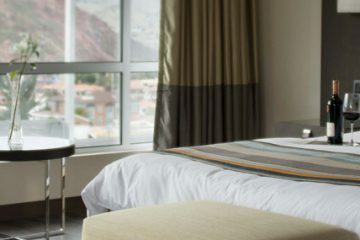 Here are some of our favorite places to stay in La Paz.